A severe raw jute crisis has led to dilution in the government\'s jute procurement plan for the forthcoming Rabi crop season up to March 2016, which will go in favour of plastics as a packaging material for food items, affecting employment generation, says a top official. Kolkata : A severe raw jute crisis has led to dilution in the government's jute procurement plan for the forthcoming Rabi crop season up to March 2016, which will go in favour of plastics as a packaging material for food items, affecting employment generation, says a top official. "Government has already diluted 1.34 lakh bales or 10 per cent of the proposed 13.34 lakh bales in December 2015-April 2016 period. 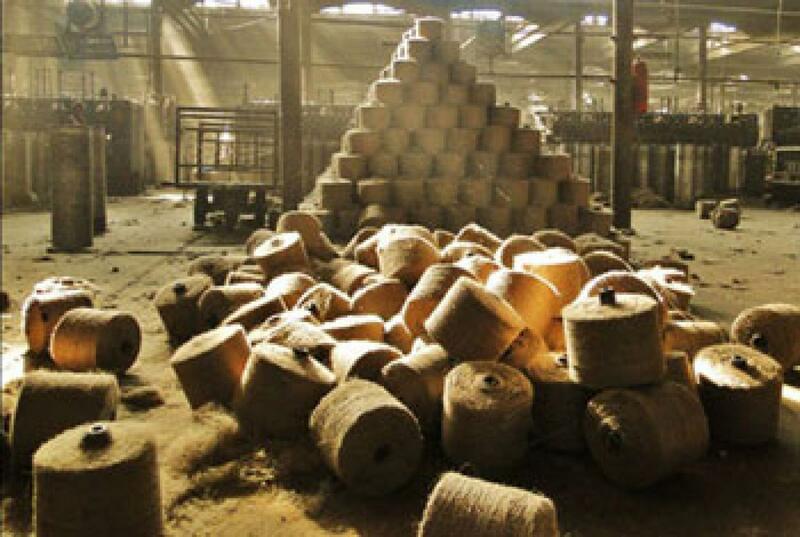 Moreover, after mills informed about shortage of supply, a proposal is being examined by the Ministry of Textiles and Food to dilute another four lakh bales," Jute Commissioner Subrata Gupta said. The total dilution of 5.34 lakh bales of jute will go in favour of plastics for packaging of food items. Indian Jute Mills Association has informed the government that they will not be able to supply more than two lakh bales per month in this forthcoming crop season. The dilution will also have a ripple impact on employment in West Bengal as jute sector offers employment to about 2.5 lakh people in the state. Already some of the jute mills are closing citing labour issues and some others are curtailing production. Some 24 jute mill owners in West Bengal met to review the crisis and made representation to the Centre and state governments seeking their intervention in the matter. The mill owners have sent representations to the Jute Commissioner and West Bengal labour minister Malay Ghatak. "We are facing grave crisis of artificial shortage of raw jute coupled with all time high prices in the history of the jute industry. Prices have jumped by at least 40 per cent making production unviable for the mills," jute mill owner and Indian Jute Mills Association former chairman Sanjay Kajaria had said. Against previous estimate of production of 80-85 lakh bales, farmers and mills are projecting a production of 60-65 lakh bales, given the ground situation.